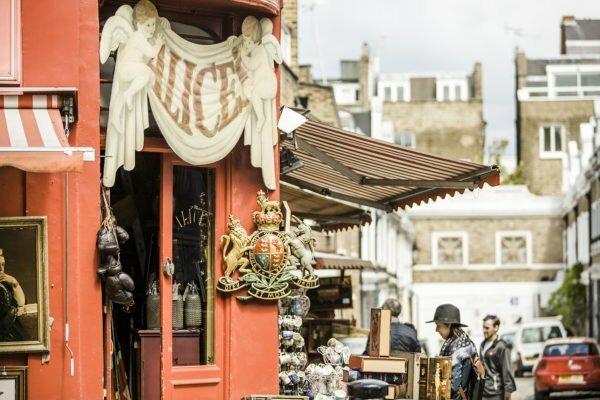 A gentle stroll through the bustling Portobello Road always guarantees you’ll discover an antique or two, yet, Notting Hill also happens to be a treasure-trove of culinary delights with some of the best foodie destinations in the city. 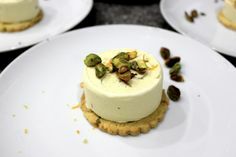 London’s culinary scene is a feast for all the senses, and in the fashionable enclave of West London, you are positively spoilt for choice. 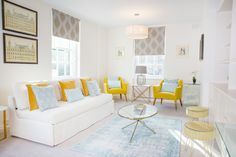 If you are staying in our nearby Austen or Marlborough apartments, you are perfectly located for a delightful wander over to the famed Portobello Road, which is our first stop on our culinary adventure. 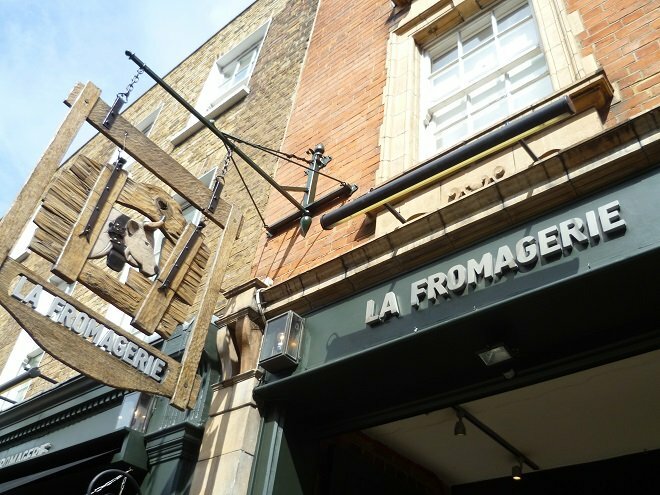 The renowned cheese emporium, La Cave à Fromage, would please even the most ardent connoisseur, and the choice on offer is particularly impressive. 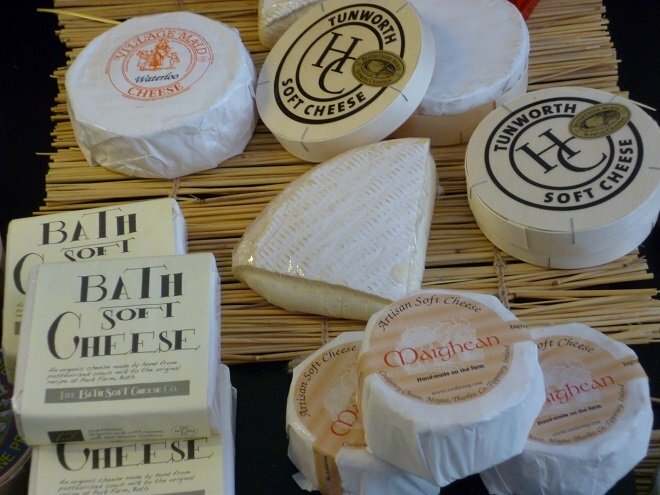 If you require some assistance, the knowledgeable staff are all there to advise on helping you create that perfect cheeseboard platter – an evening of entertaining just wouldn’t be complete without one! 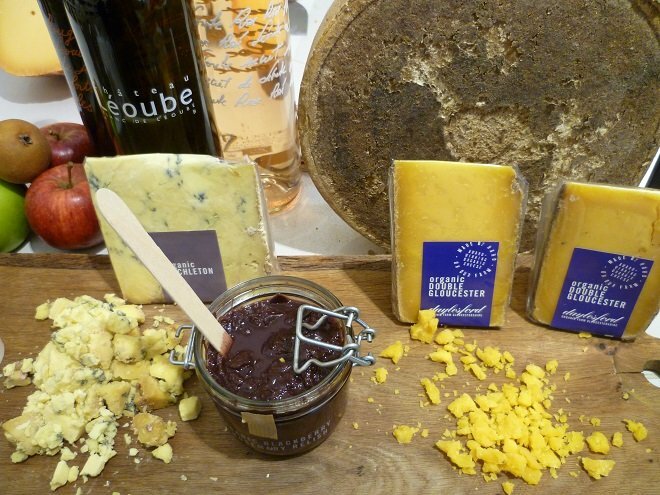 The cheese and charcuterie would certainly make for the most delicious take-away lunch, but, if the delicacies prove too tempting, they have a delightful, well-lit seating area in which you can enjoy a casual lunch of cheese and fresh bread over a glass wine. 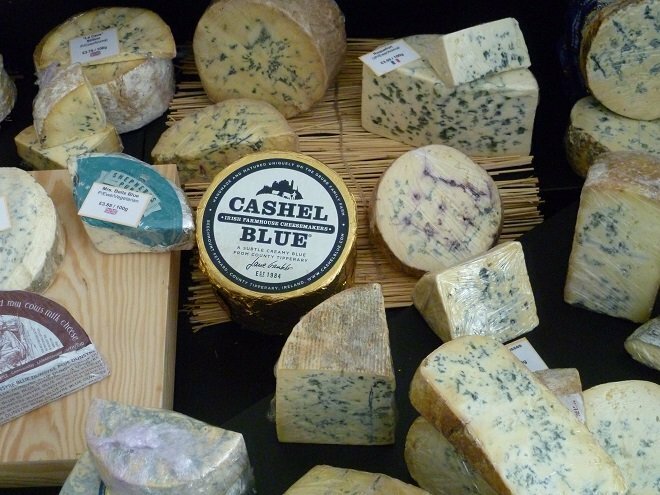 I highly recommend this store for not only the great central location, but for the well thought-out cheese selection. 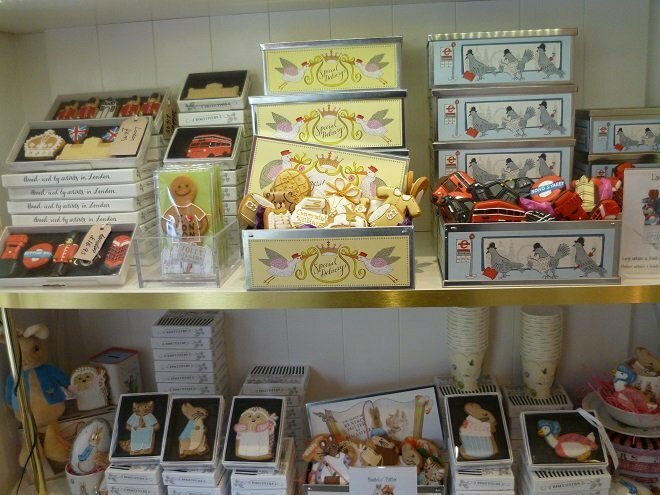 After the savory delights of La Cave à Fromage you may require something to satisfy that sweet craving, and I would highly recommend heading over to the Biscuiteers on Kensington Park Road. 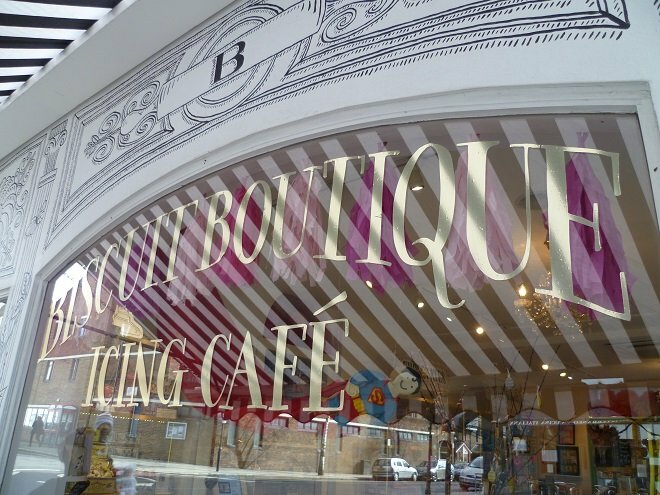 As soon as you approach the store, you will notice their delightful shop front which is one of prettiest in all of Notting Hill. 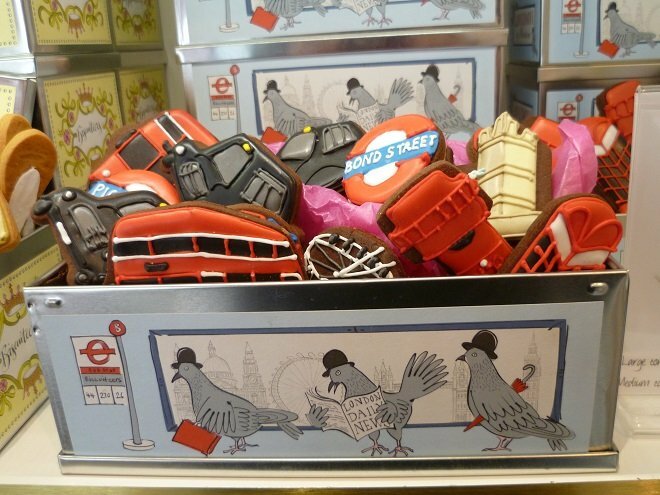 And, as the name suggests, their speciality is hand-iced, decorative biscuits. 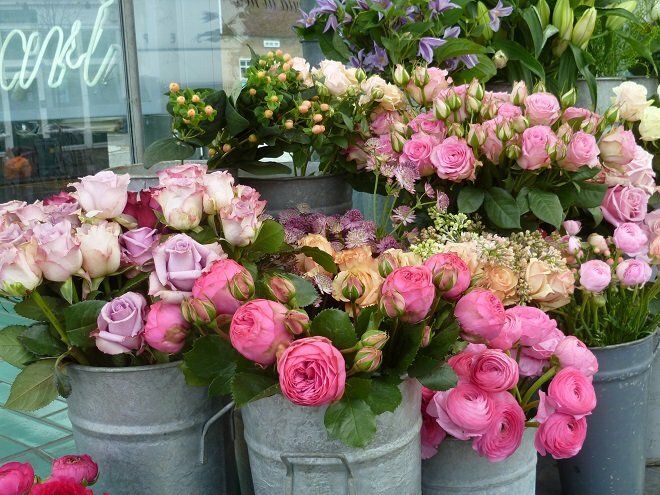 The bountiful displays will certainly have you browsing in-store for some time. 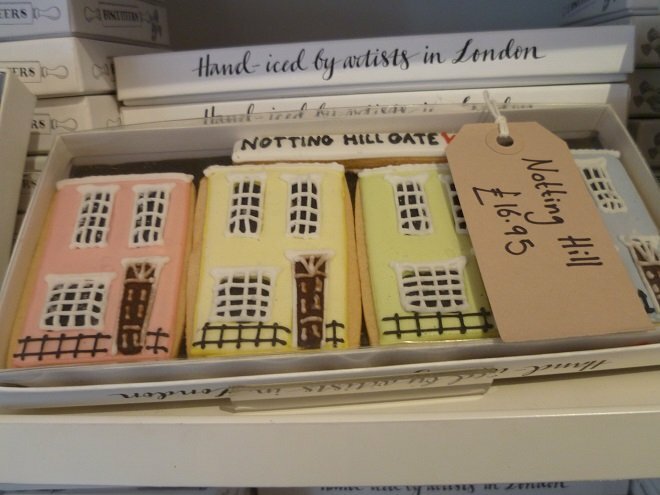 My favorite biscuit display had to be the ones in the shape of the pastel-colored homes of Notting Hill – the perfect gift for friends, I think. 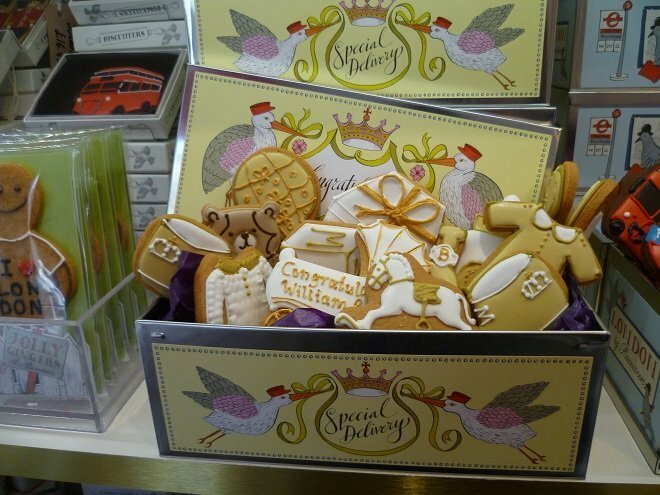 I also thought this ‘special delivery’ box of biscuits, inspired by the imminent royal arrival, was very sweet. This enchanting store also run their own icing classes, and as I wandered around, I noticed families gathered, all icing their own biscuits. What a great idea if you have children to bring them here for an afternoon treat! As I left the oh-so sweet Biscuiteers, I took a few final shots of the outside, as a reminder of one of the prettiest stores in all of Notting Hill. 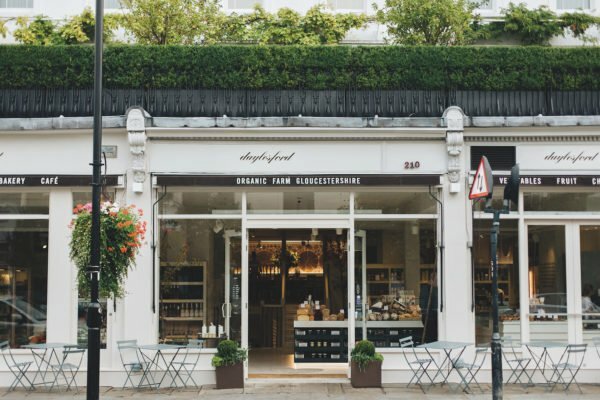 The next stop on the foodie map of Notting Hill was the fashionable area of Westbourne Grove, which is only a short stroll away from Kensington Park Road. 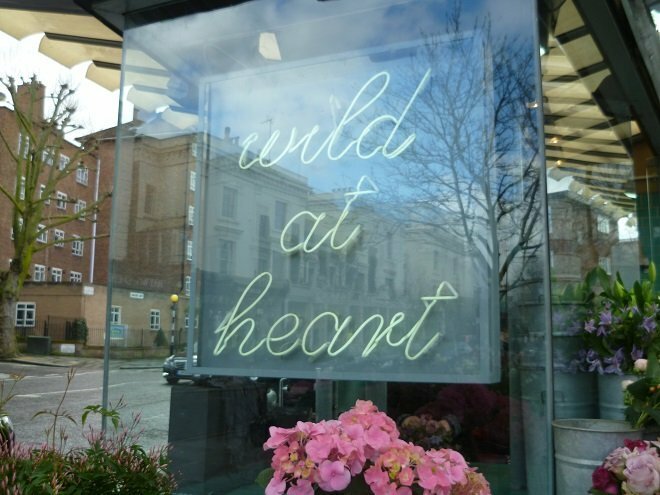 And as soon as you enter Westbourne Grove, you simply must make a quick detour to Wild at Heart as their spring flowers are simply stunning, and in full bloom, as you will see from the photos. 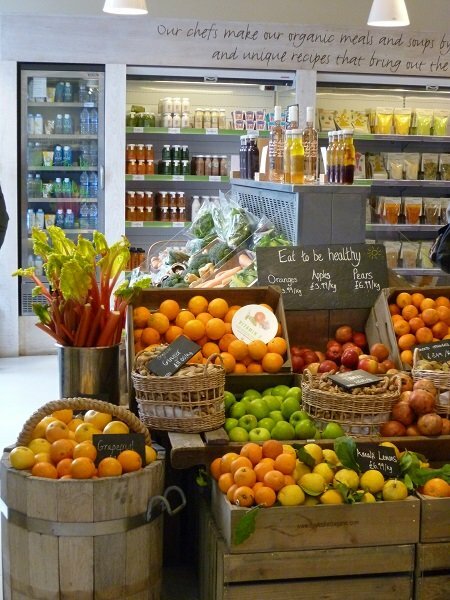 Just a few moments’ walk from Wild at Heart you enter the foodie paradise that is Daylesford Farmshop and Cafe, a wonderful store selling a fine range of fruit and vegetables, freshly baked goods, artisan cheese and deli products, as well as homeware, too. 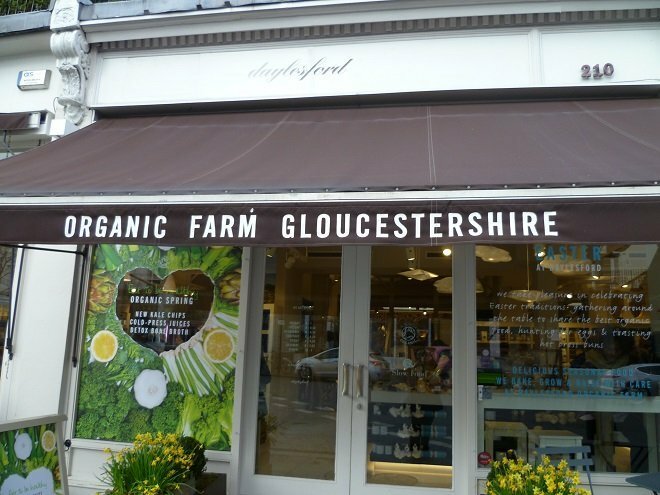 The beauty of this store is that it is a one-stop for all your culinary and entertaining needs as it has so many great products under one roof. On the day I was there, I was lucky enough to see the staff restock their shelves with freshly baked goods, and I could not resist taking a few photos of the bountiful displays. 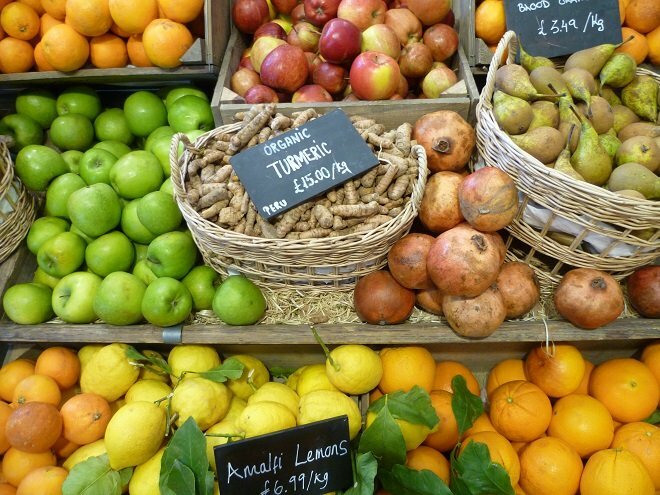 The fruit and vegetable selection is certainly enough to inspire a recipe or two, and this place definitely has all you need to create a casual meal for family and friends. 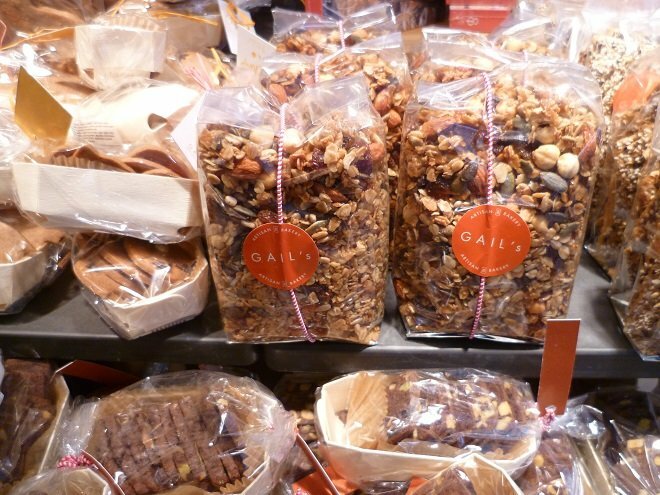 After picking up a few delicacies from Daylesford, why not head over to the popular GAIL’s Artisan Bakery on Portobello Road, who are known for their amazingly fresh bread. 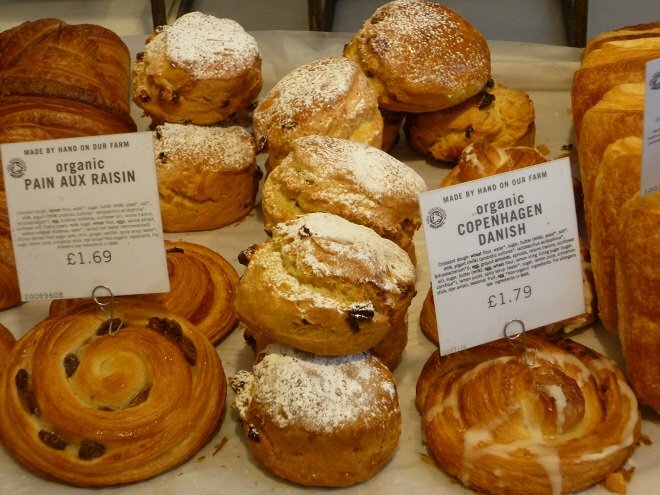 The counter tops are always filled with a variety of sweet and savory baked goods. 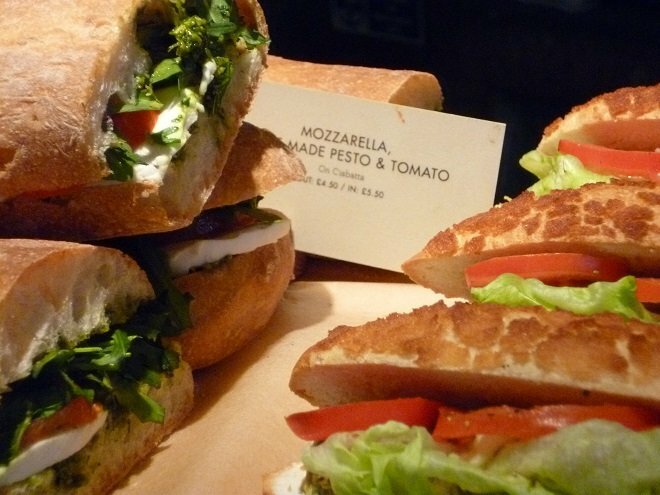 The filled sandwiches and cakes are enough to tempt anyone to stop by for a light lunch. I opted for parmesan chicken on a brioche bun as a delicious, mid-afternoon treat. 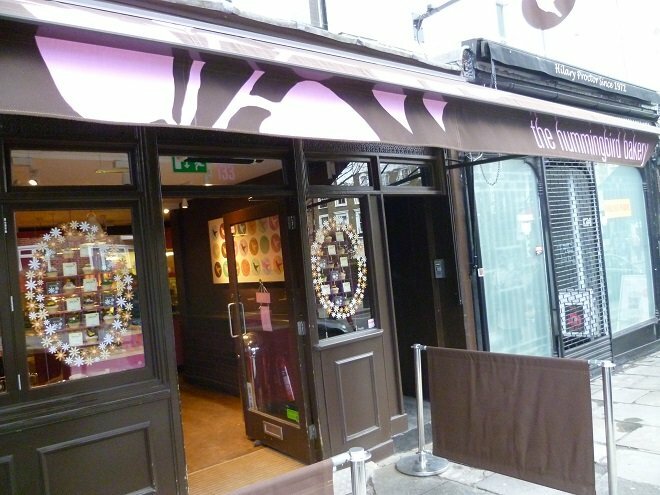 After lunch, you can make a sweet-stop to the nearby Hummingbird Bakery (also on Portobello Road), which has become synonymous over the years with the best cupcakes, whoopie pies and incredibly creamy cheesecakes. 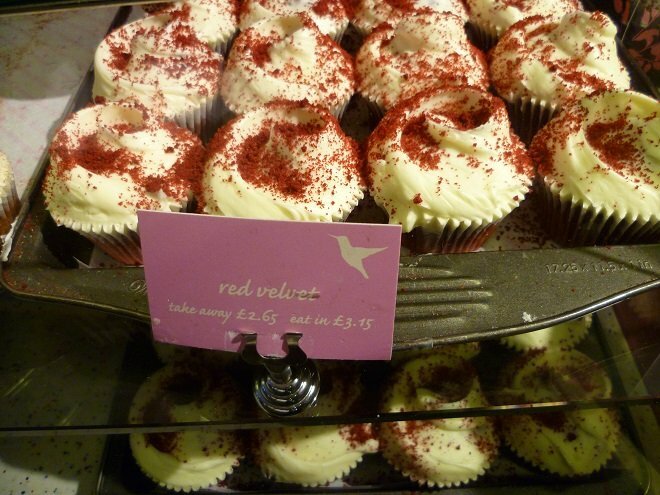 The counter tops are adorned with a selection of the most scrumptious looking cupcakes, tray-bakes and full-sized cakes. I opted for the classic Vanilla and a rather decadent sounding Nutella cupcake…you can’t pick just one, after all. 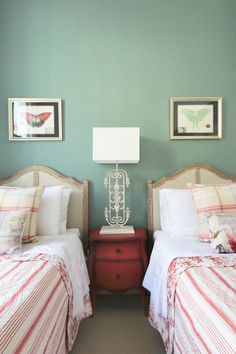 At around 4pm, you will notice Portobello Road becomes a much quieter place as the crowds start to disperse, which I actually think is the perfect time to stop by a few antique stores before you make your way back to your apartment. However, as your bags of foodie purchases will likely be calling out to you, antique hunting might just have to wait for another day! PREVIOUS: Attention Harry Potter Fans: Hop Aboard the Hogwarts Express! Posted on Tuesday, March 31st, 2015 at 2:39 pm in Food & Drink. You can follow any responses to this entry through the RSS 2.0 feed. You can leave a response, or trackback from your own site.